An exhibition of our works will be showing during Normal Museum opening hours, when you can enjoy looking at the art and craft on display and purchase works from the Museum. 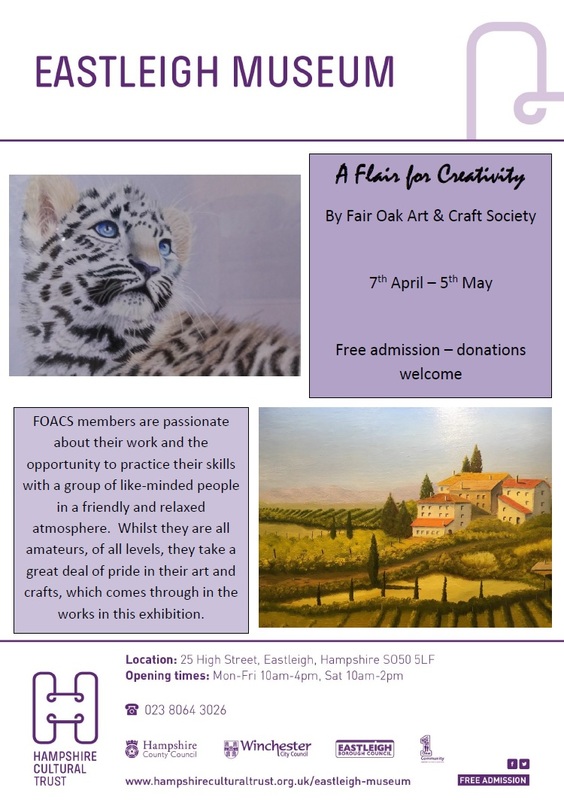 there will be two very different workshop run by members during the exhibition. 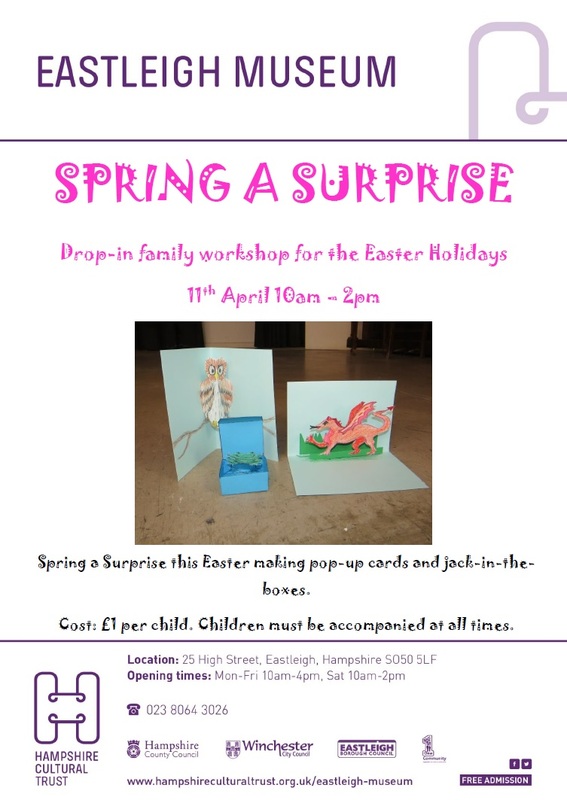 this is a drop in workshop running on the 11th April from 10am until 2pm, where you can make pop up cards and Jack in the boxes. Cost is £1 and all children must be accompanied. 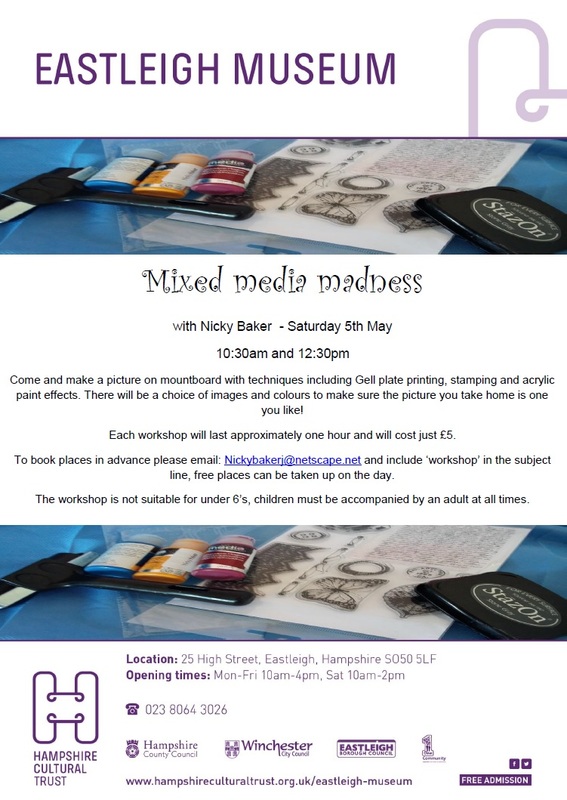 This is a bookable workshop running on Saturday 5th May at 10:30am and 12:30pm where you can make a small mixed media picture using various products and techniques. This is not suitable for small children, and older children must be accompanied. The cost is £5 and the workshop will last approximately an hour.